With Apple and Google honchos battling it out with their latest smart watches, the market value for vintage watches only increases. And that’s not surprising, considering the fact that vintage timepieces are a symbol of culture, tradition, and hundreds of years of craftsmanship. It goes without saying that vintage watches will never go out of style. Perhaps, it’s their incredibly complex mechanism. Perhaps, it’s their unique features. Rolex, Omega, and Cartier may be known for their quality and intricate craftsmanship, but they also have an unmatched history. 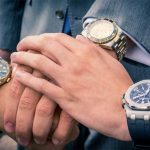 Most people in the U.S. purchase a Rolex, not because it offers beautiful luxury watches; but because the name is associated with sophistication and high class. These watches say more about the person than they say about the product. They’re associated with high-quality, with culture and most importantly, good taste. Your iPhone will break within a couple of months. So will your Playstation 4. But your vintage watch will stand the test of time. There’s a reason why vintage watches are passed down from generation to generation. It’s because they are timeless, reliable and durable. A vintage watch is an investment of a lifetime. It’s an opportunity that shouldn’t be missed. The older your watch, the more valuable it is. But with time, its value will only increase. Investing in a vintage watch is like investing in property. A well-maintained, beautiful property’s value will only go up in the future. If right now your watch costs $3,000, you can expect it to go up to $6,000 in the future. That’s twice the value at its current price. It’s safe to say that since vintage watches aren’t easily available and have been discontinued decades ago, they are unique. You will not find another piece like yours easily. Unlike smart watches, which are present everywhere, vintage watches have their own category. They tell a story, a tale that spans decades or hundreds of years. Passed down from generation to generation, they are a symbol of your unique heritage. Let’s say that the Rolex your father has gifted you was one of his most prized possessions. And now it’s yours. You associate the watch with your father’s memory. You associate it with his personality. That watch had been with him for more than 30 years. It traveled with them. He used it to keep track of important meetings. He used it to keep himself organized. The watch has a history. It has a story to tell. And it goes without saying that it’s become an important part of your life because it’s a reflection of the type of individual your father was. And now that watch has become a reflection of who you are and what you stand for. As mentioned earlier, there’s a reason why vintage watches are here to stay. There’s a reason they make such a good investment. These are just a few reasons why you should invest in a vintage watch! Are you looking in need of a watch repair in Aurora, CO? 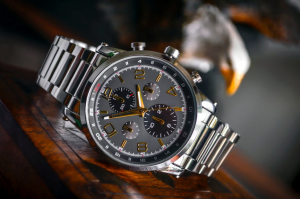 Matheu’s Fine Watches & Jewelry has been providing quality products and professional services as a Family Owned and Operated business to the metropolitan Denver, CO area since 1951. Matheu’s Fine Watches & Jewelry was the very first watch repair and service facility ever opened in Colorado. Dan Matheu, a Certified Master Watchmaker, pioneered the watch repair and services business in Colorado. Today, Scott Matheu, his son, now operates Matheu’s Fine Watches & Jewelry. Scott Matheu had a vision to open a watch store in Aurora, CO fifteen years ago. His vision has led Matheu’s Fine Watches & Jewelry to not only be the largest watch repair and service facility in the Denver Metropolitan area but also the entire state of Colorado! 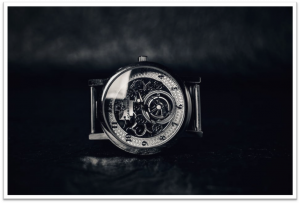 Whether you are in need of watch repair in Aurora, CO, watch engraving, or even if you have an antique watch that you would like appraised, you can count on Matheu’s Fine Watches & Jewelry to provide you with superior service each and every time. All of our watchmakers are factory trained and CW21 Certified by the American Watchmakers and Clockmakers Institute (AWCI). This certification has the most stringent standards for watchmakers performing repair, restoration, and service work on watches. With the largest service centers in the metropolitan Denver, CO area we are not only able to provide watch repair in Aurora, CO but to the entire 50 states as well. Matheu’s Fine Watches & Jewelry is also a factory authorized service center for Hamilton, Tag Heuer, Breitling, Tissot, Oris and many more brands. When you use Matheu’s Fine Watches & Jewelry for your watch repair in Aurora, CO, you can rest assured knowing that we have the latest authorized equipment and technology to service your timepiece and you will also receive our (2) two-year warranty on major watch repairs that we provide. 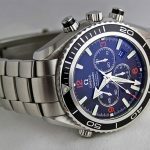 If you are considering getting your valuable timepiece repaired or restored, because of our CW21 Certification, you can be confident that Matheu’s Fine Watches & Jewelry will provide you with the highest quality level of watch repair and service in Aurora, CO. Our CW21 Certification ensures that we possess the superior skills and knowledge for servicing quality watches.